From the makers of the super popular Neko Flies cat toys comes the new U J I Tunnel System. With its three unique interlocking shapes, cat guardians can make over 20 different configurations to keep cats fully entertained and happy. The system can accommodate different size rooms and play areas. The tunnels are made from a super soft plush curdoroy fabric. They feature sturdy, heavy duty zippers on several of the openings, allowing you to create almost endless configurations so your kitties will never get bored. They also have a safety feature: small pockets will hide the loops and buttons that hold the tunnels flat for storage when they’re in use. Even though I neglected to use the pockets when I took the photos and video for this review, I think they’re a great touch that just goes to show how well the folks at Neko Flies know cats, and how serious they are about creating safe and durable toys. The tunnels come in really beautiful zippered bags that make storage easy. The U Tunnel is 6′ L x 10″ diameter with 3 zippered holes. I had barely taken the first tunnel out of the storage bag before Allegra raced into it. She had a blast exploring while I opened the other two tunnels. Ruby was a little more cautious and watched from a distance, but as you can see from the video below, it didn’t take her long to get in on the action. The tunnels are nice and big. I didn’t have enough open floor space to create a playground with all three tunnels, but even just a single tunnel provided plenty of entertainment for the girls. I’ll be rearranging the kitty playroom soon to make room for the entire system! I was hesitant to use the I tunnel with the crinkle paper, because Allegra is scared of the sound of crinkling plastic bags, and I didn’t want her to associate these wonderful tunnels with something she’s afraid of. I carefully opened it while she wasn’t inside one of the other tunnels, and, as I suspected, she took off running. Thankfully, it didn’t deter her from racing right back inside the other two tunnels. 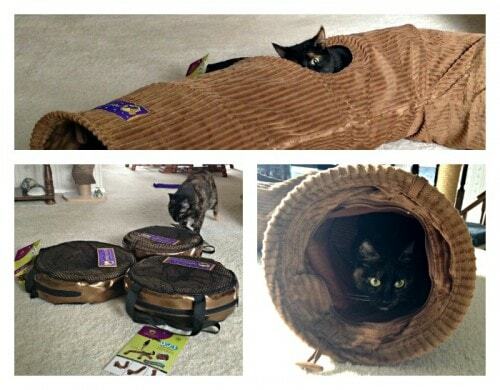 Since a lot of cats love the crinkle tunnels, I love that this was added to one of the tunnels. I wanted to get in on the fun, so I used some of our Neko Flies wand toys and teased the girls in and out of the tunnel. 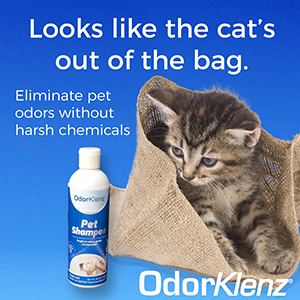 This is a great way to help cats burn of excess energy, and foster the bond between cat and human. Since I only have two hands, I couldn’t get any decent video of our interactive playtime. Allegra, Ruby and I give the UJI Tunnel System four paws and two thumbs up! For up to six ways to enter, see the Rafflecopter widget below. This giveaway is open to readers in the United States and Canada only, and ends Thursday, December 17. Winners will be chosen by random drawing*. For more information about the UJI Tunnel System, and to order, please visit NekoFlies.com. FTC Disclosure: This giveaway is sponsored by Neko Flies, which means that I was paid to feature this content. Regardless of payment received, you will never see products or services featured on this site that I don’t either use or would use myself. I am trying to order the UJI Tunnel and to use the code for a 10% discount but it is saying the code is invalid. Please help. Let me check with Neko Flies, Jeanne. I’ll let you know once I hear back, but it may not be until tomorrow. I would love this as it would keep that kitties out of trouble for a good part of the day. They are just so busy getting into everything that this would be a blessing. Ho ho ho! I work long retail hours, and have 4 cats that are not happy about it! Any distraction helps and they would have a blast with this! Well, 3 would, Sr. Ernie would “supervise” ! It’s a great way to keep them entertained as they are so curious and need to burn their energy! I would LOVE to win this for my kitties. They are indoor cats and have gotten a little chunky over the last couple years. This would provide them with exercise. They love hiding under and in things so I know they would love this! My two guys are getting old (14 and 13) and need more activity. I think this would interest them and keep them busy and moving. That is a super cool idea for a toy. i need to try and win one. I think both of my girls would love these tunnels, especially my youngest – she’s always looking for something new to do! My cat would have a blast with one of these. She’s already created her own tunnels around our bed and other pieces of furniture. 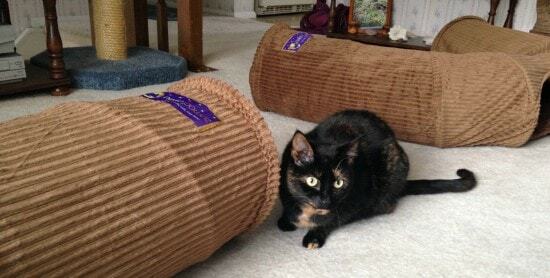 I have a little petstages tunnel but I Would like to have another more comfortable for my 2 years old girl and I can not to find one in Quebec, Canada. 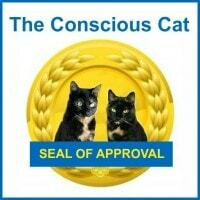 I have five kitties all indoor and this would help keep them active and motivated. Although they would probably love to hide and take a long kitty nap inside too. Love the concept of how they all attach to each other. My kids would love these tunnels! My cats would go crazy in the tunnels! I definitely need to win one! My raggies love tunnels. They would have a great time in this.